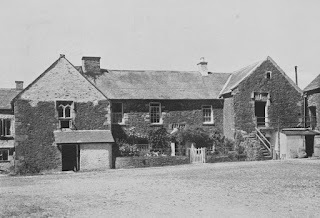 Kendal’s oldest inhabited building, the Castle Dairy, lies on the North side of Wildman Street, about a hundred yards from Stramongate Bridge. 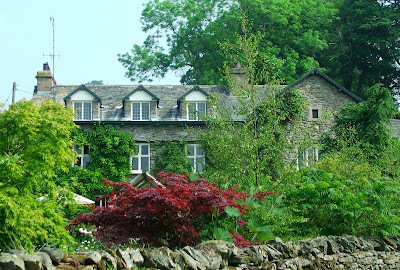 Built in the 14th century as a cross wing house, the building retains many original features and is in particularly good condition. Originally a farm house, no doubt standing in open fields before the buildings of Wildman Street were erected, the house would have had open views towards the River Kent. The building was extensively re-modelled for Anthony Garnett, a successful local business man, in the 1560’s. 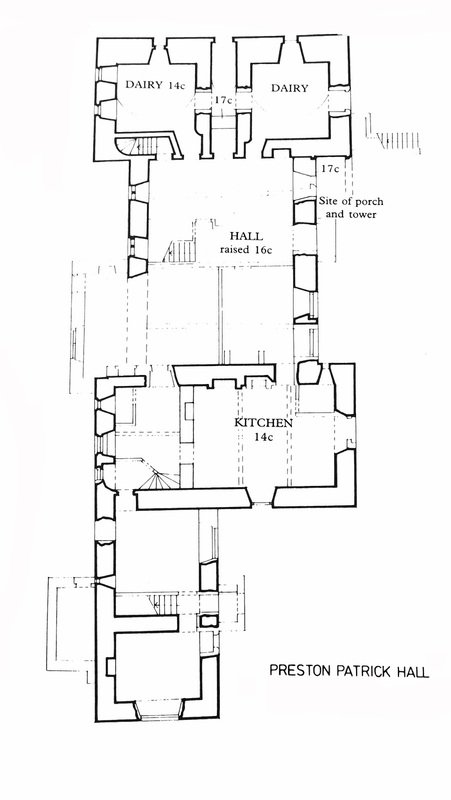 The house started life as a single storey cross wing house, a simple house with a range at one end. 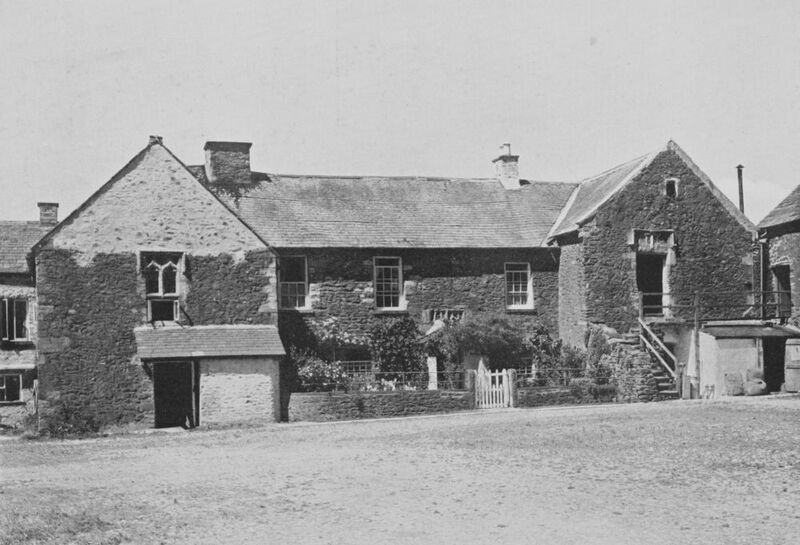 It’s quite likely that the two wings were added in the 1560’s, when Anthony Garnett gained possession of the building. Indeed, his name, initials and associated dates are scattered around the house in a host of intriguing carvings and stained glass windows. From the outside, the single storey hall has three single arched sandstone windows to the left of the main doorway. The heads to these windows have been replaced fairly recently, including the carved faces. To the left of these windows, there is another simple sash window, next to a smaller door. Some old black and white photos of the house, show a stone built porch over this door. However it’s now been dismantled. 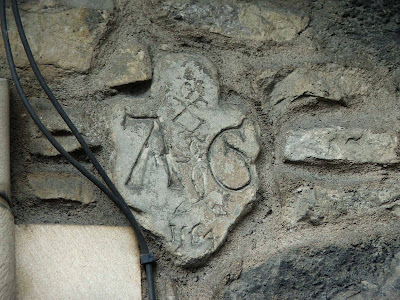 Above the main door, a small date stone can be seen, bearing the initials AG and a date of 1564. The right hand wing houses a huge square chimney, whereas the left hand wing has a traditional Westmorland chimney, round stacks and very tall. The dove cotes under the eaves of this wing appear to be still open to the elements, and sit above two sandstone arched windows. The ground floor windows are more recent simple sash windows. 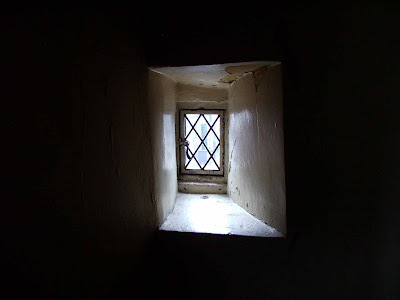 Each side wall of the first floor room has a small window in it, each one barely 10 inches high and 8 inches wide. The left hand wing has similar windows, although the ground floor windows look much older, the sandstone more weathered and the lintel at a jaunty angle. 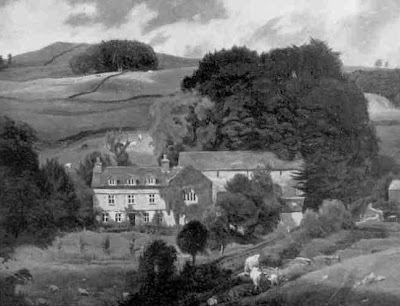 This wing is an almost identical copy of the right hand wing, except for the round Westmorland chimneys, and the blocked dove cotes. The ground floor side wall has a tiny window in just below chest level. It is probably about 8 inches high, and no more than 4 inches wide, and consists of three tiny leaded panes of glass. Likewise, there is a similar window on the outside of the first floor of this wing. 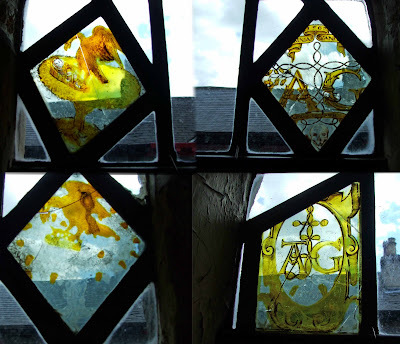 This time the window is about 6 inches high, about 3 inches wide, and again consists of three tiny leaded panes of glass. This window has a slightly arched head, and a solid sandstone surround. Entrance to the house is gained through a doorway in the South East of the central hall. This single storey room contains a large range that dominates the wall to the left. All the wood work in the hall is dark wood, probably oak (or so I’ve been told) and it dominates the house throughout making it dark and quite claustrophobic. The floor of the hall is made of huge slabs of what looks like Lakeland slate. To the right of the hall a small staircase provides access to the first floor North East wing. Above it is a small piece of vaulted ceiling. Two of the windows to this part of the house, contain tiny stained glass windows. Each window is no more than 5 inches high, and is a simple diamond shape, with the pattern\design painted in vivid yellow paint. Again, I’m told that these are all original. The first window contains the letters AG (for Anthony Garnett) surrounded by knot work. A grimacing skull is painted at the bottom angle of the window. 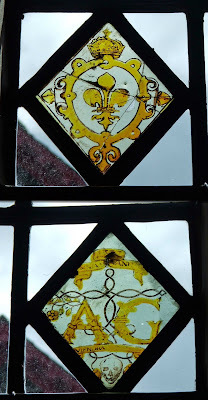 The second window has a yellow fleur de lis capped with a crown. To the rear of the hall, a small low passageway takes you through to the South West wing ground floor. 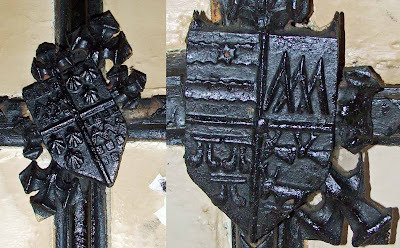 The date 1560 can be seen clearly carved into the left hand wooden panel of the doorway. The other side of this piece of wood is carved with a Latin inscription: “PAX HUIE DOMUI” with a date that is too feint to read. It perhaps says 1718. 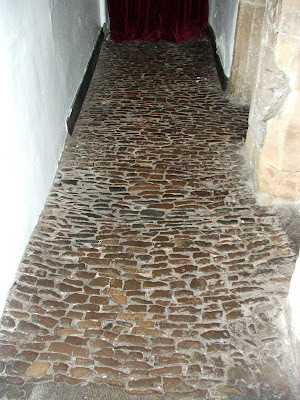 This small dark passageway leads to the hallway that links the older 14th century hall with the additional wing. There are three fine sand stone arches here, providing access into the one room of this wing. Up until the 1980’s, all but two of these were blocked off. The stone mason marks can still be seen carved into the stone uprights of the door ways. The floor of this passageway is of interest here. It continues into the room occupying the ground floor of this wing also. 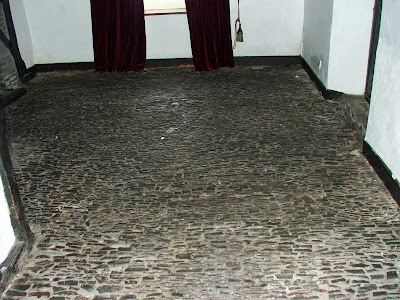 Legend has it, that this floor, collectively made of thousands of worn pieces of stone no more than a few inches long, is part of the old roman road that may have run along the banks of the River Kent, leading to the ford that was once placed where Stramongate bridge is now. 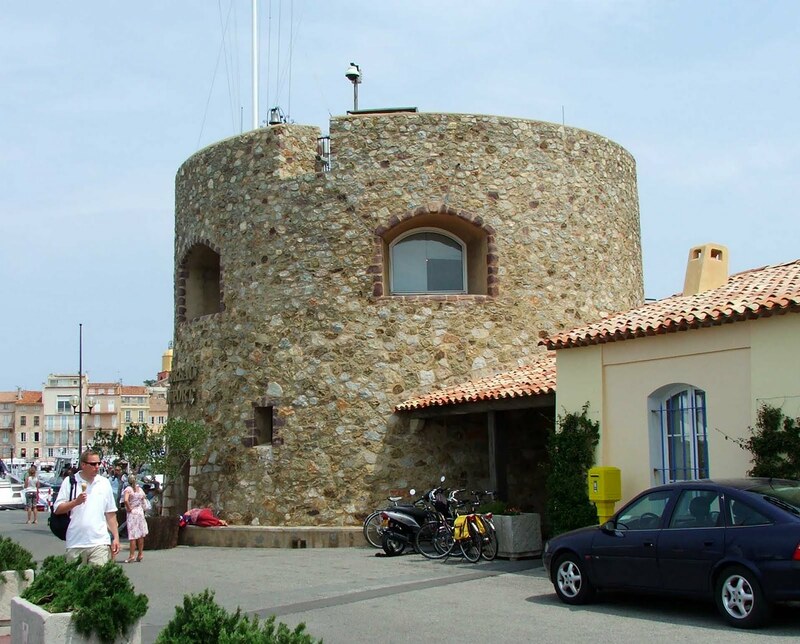 Whether this is true or not….who knows, but this is a startling piece of architecture. 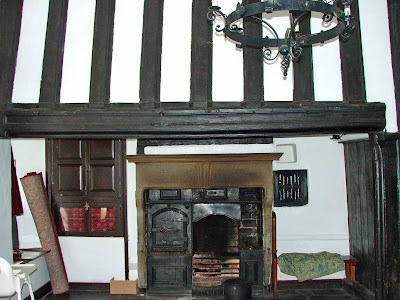 Moving into the main room of this wing, the walls are made of the old dark oak throughout, and serve to partition the room from a small passageway that then leads onto the kitchen from the days the Castle Dairy was a restaurant. The door that separates the kitchen from the rest of the building would originally have been an external door. 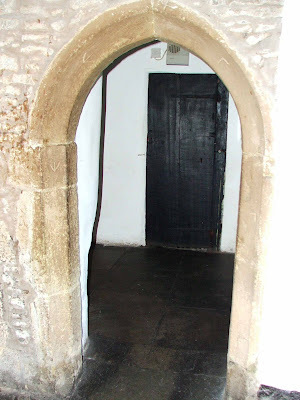 It is thick dark oak with huge metal hinges, and sits inside yet another sandstone doorway. The floor here is a continuation of the pebbled floor in the small passageway next door. Returning across the hallway and back through the central block, the area that was used as a bar is perhaps the most disappointing room in the whole house. The floor here has been replaced with a modern tiled floor. The bar area occupies an area that was once partitioned off but has since had the old wood panelling removed. All in all, the room is to all intents and purposes, a modern room. Climbing the stairs to the first floor of the North East wing, takes you to the most interesting room of the whole hall. A short corridor to your right leads to the bedroom, which contains two interesting pieces of furniture. 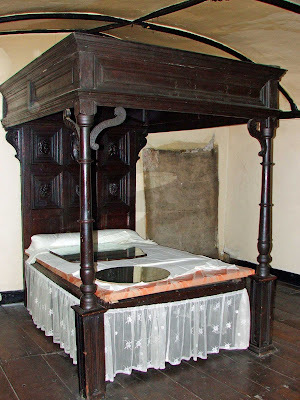 The first item is the magnificent four poster bed. Again this is made of the dominant dark oak wood. 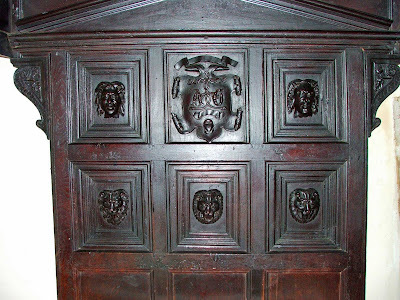 The main feature is the head board, which is decorated with two male heads, one with horns, the other with what looks like rodent’s ears. There are three maned lions beneath this, and the centre piece is probably the coat of arms of Anthony Garnett, for it is undoubtedly his bed. 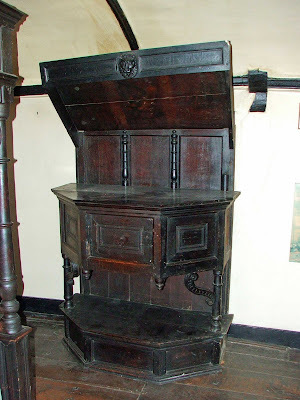 The coat of arms is made up of the letters AG surrounded with knot work (as in the stained glass windows) The second item of furniture in this room, is the dark oak ambrey. The cornice of this fanciful piece of furniture is inscribed with yet more Latin: “OIA VANITAS HONOR DIVICIE POTESTAS” The date 1562 and the initials AG. A lion’s head sits in the midst of the Latin inscription. 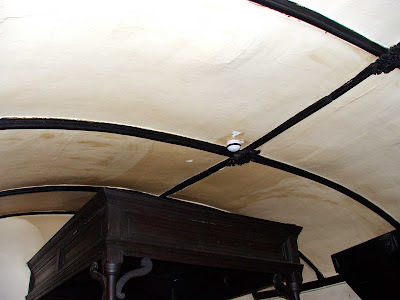 This room has a beautiful barrel vaulted ceiling, with dark oak supports running its full length. Where these supports are joined, there are carved wooden bosses with more coats of arms carved on them. There used to be three of these bosses, but only two now remain. The first contains symbols representing the families of Parr, Fitz-Hugh, Roos and Anthony Garnett. The second contains symbols representing the families of Deincourt and Strickland. 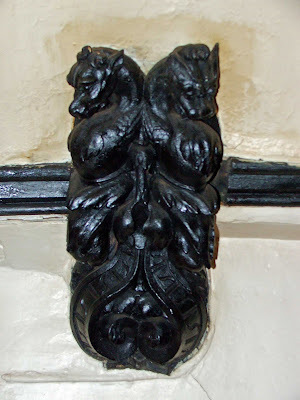 One of the oak supports rests upon a finely carved pair of Gryphon heads. There are also another four stained glass windows in this room. Again, each window is around 5 inches high, and diamond in shape. The first window shows the letters AG in yellow, with a grimacing skull beneath it. The second window shows an eagle plucking a child from a tree top. The third window shows the same scene, albeit with the yellow paint much removed. The last window shows the initials AG surrounded by knot-work. Besides the two main windows in this room, there are two additional tiny ones. Each window is no more than 8 inches high, and set within the thick walls. Moving back down the first floor corridor, a doorway gives way to what was reputedly the chapel of the house. 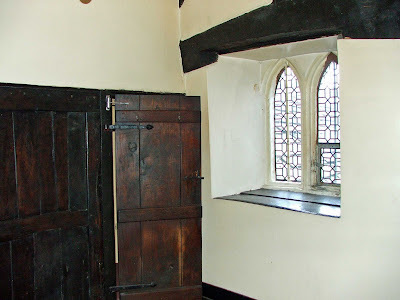 The wall separating the hall way from this room is dark oak panelled, whilst the other main internal wall is oak with plaster partitions (archetypal Tudor panelling) The windows in this room lend themselves to the idea that it was once a domestic chapel. They are distinctly arched with small leaded panels. 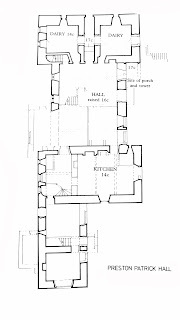 The First floor of the South West wing was unfortunately not explored. This wing is entered from the outside via a small flight of steps, and on the day I visited the keys were not available. A return trip will have to be made. All in all the building is a stunning piece of medieval architecture, in excellent condition, and standing amongst buildings from many periods. 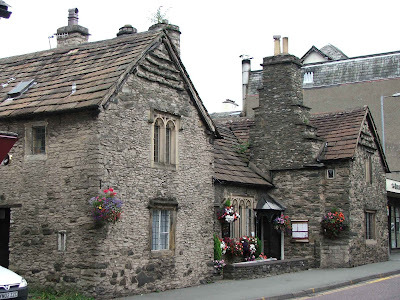 It is probably Kendal’s only surviving ‘true’ medieval house, the many others in the town having much building work and redesign done on their fabric. 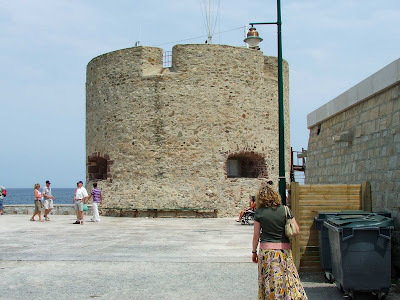 Although it’s not open to the public, it can be viewed easily from Wildman street.